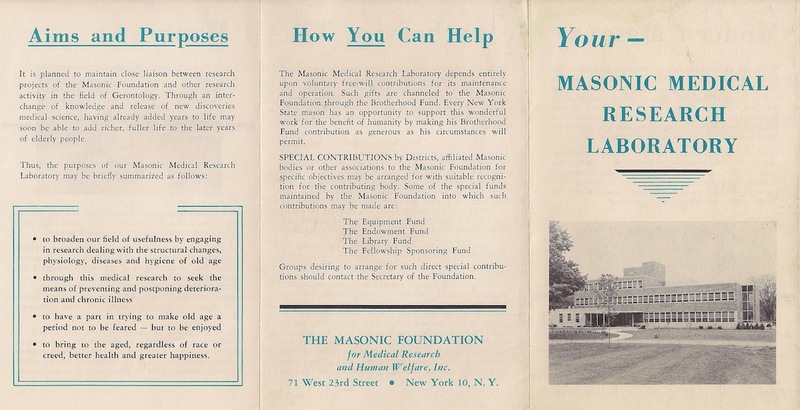 Fundraising brochure for the Masonic Medical Research Laboratory in New York City. 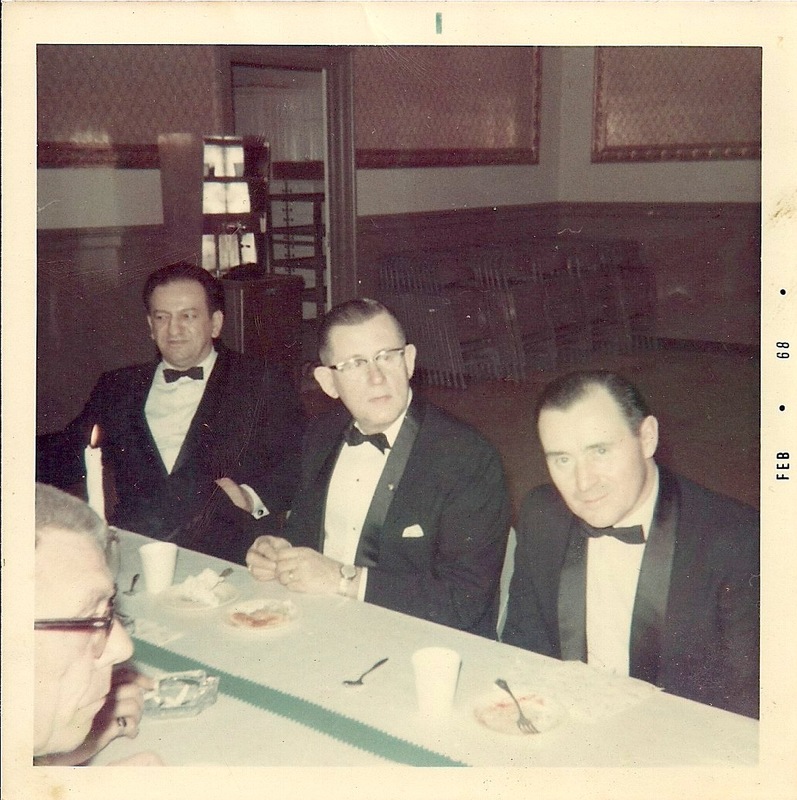 Here is an undated photo of Frank Wilkinson (middle) and two other masons. 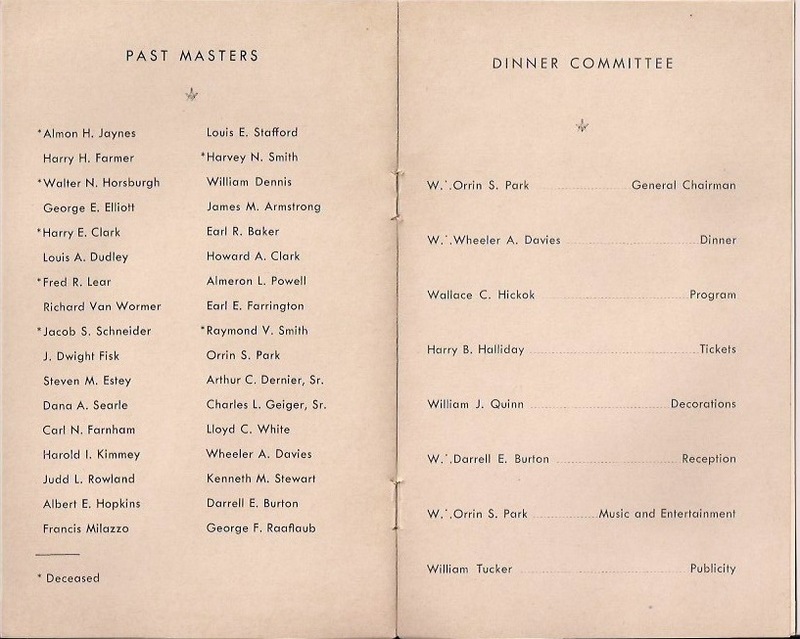 This was probably taken at one of the annual dinners some time in the 1950’s or 1960’s. 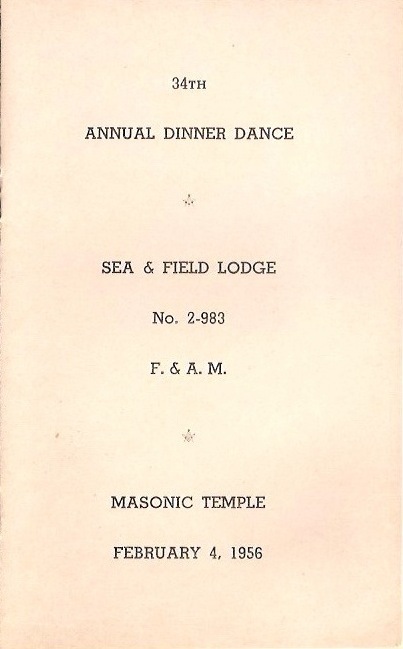 This is the program from the “34th Annual Dinner Dance Sea & Field Lodge Number 2-983 F. & A.M.” My grandfather was not a member of this lodge, so he must have attended as a guest. 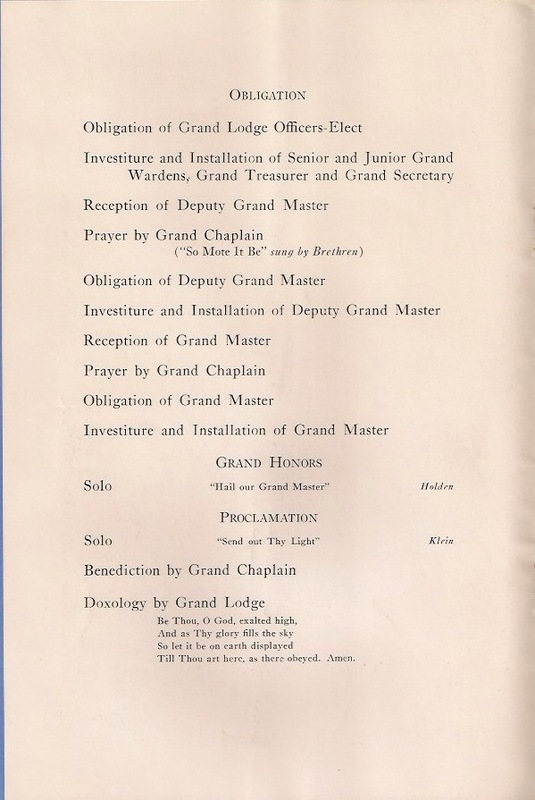 Based on some of the other mason keepsakes, it looks like he was invited to events help by other lodges. 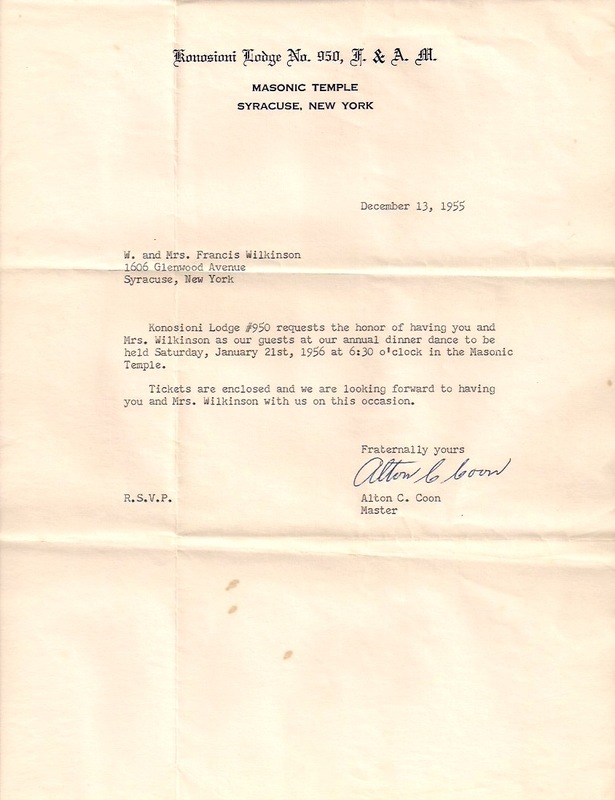 My Grandfather (Frank Wilkinson) was a mason in the (49 UNICAS Lodge in Syracuse, NY. 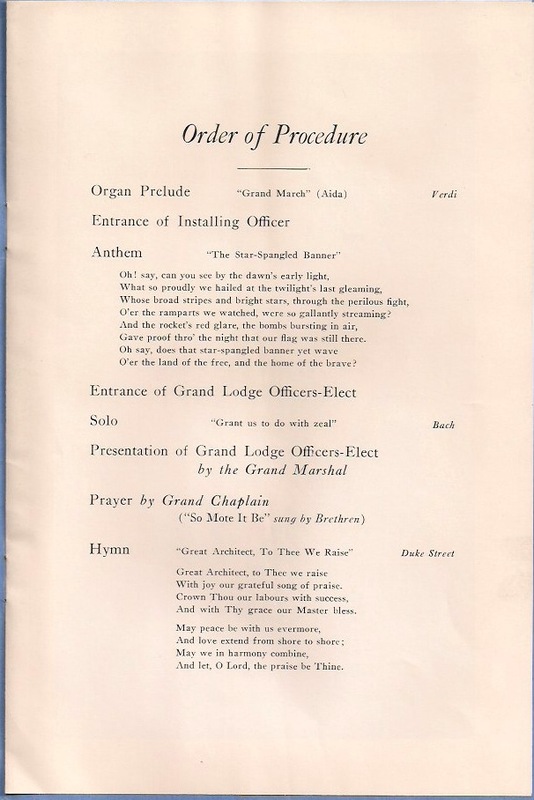 Here in an invitation from another lodge to their annual dinner. 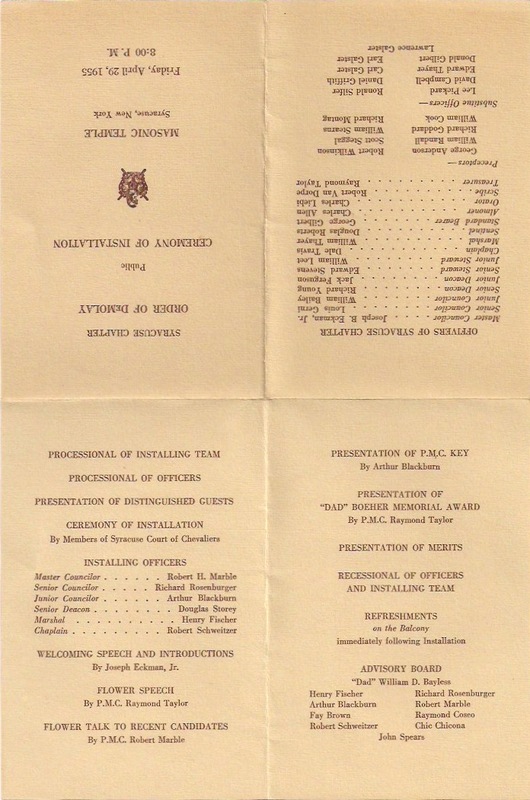 This is the program for the 1955 Annual Dinner Party for Uncas Lodge No. 949. 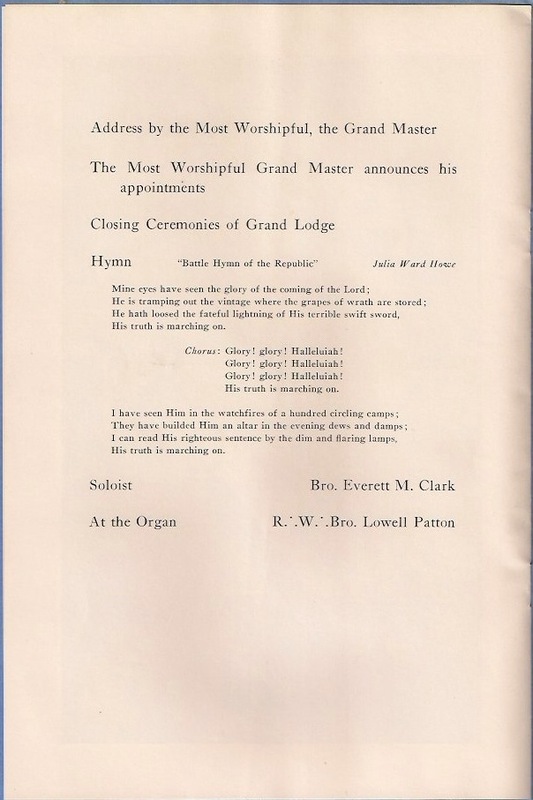 This was one of the years that he was the Master of this lodge. 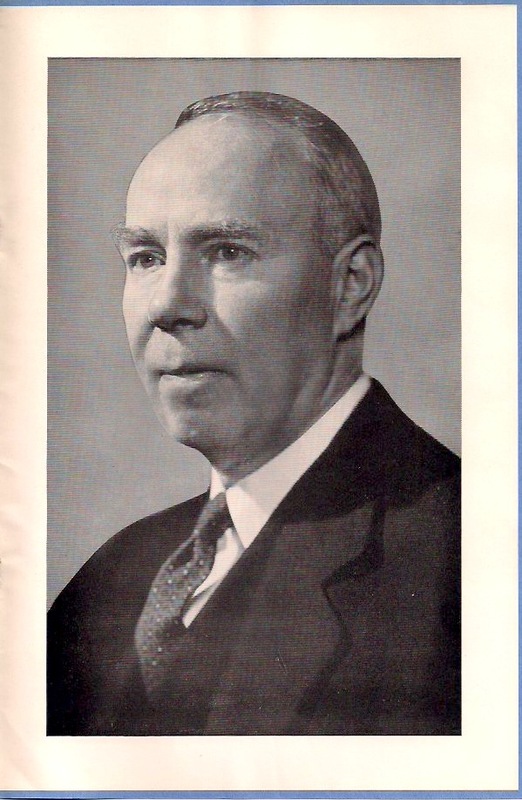 He is only 47 in this picture…everyone looked older in the 1950s. 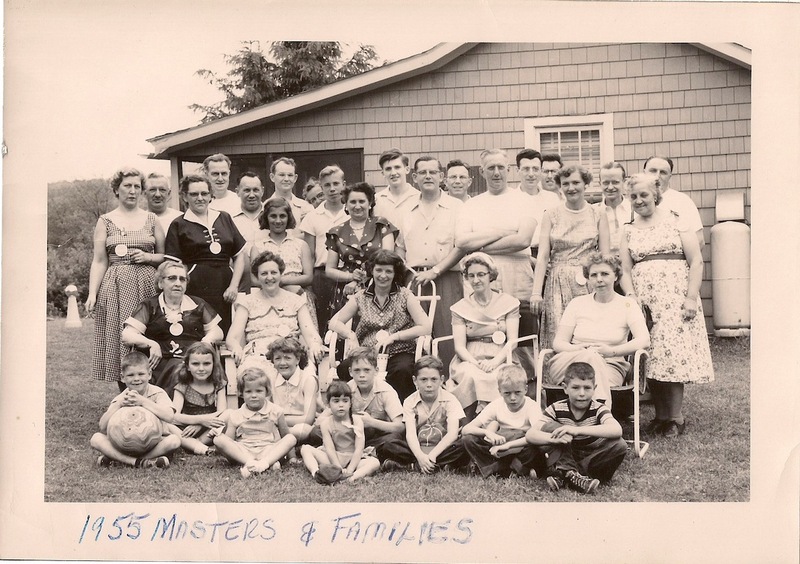 Here is a picture from 1955 of the “Masters & Families”. Not sure wher this picture was taken. 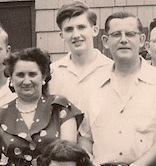 My father (Bob Wilkinson or Bobbie as he was known then) is the tallest one in the middle of the picture. 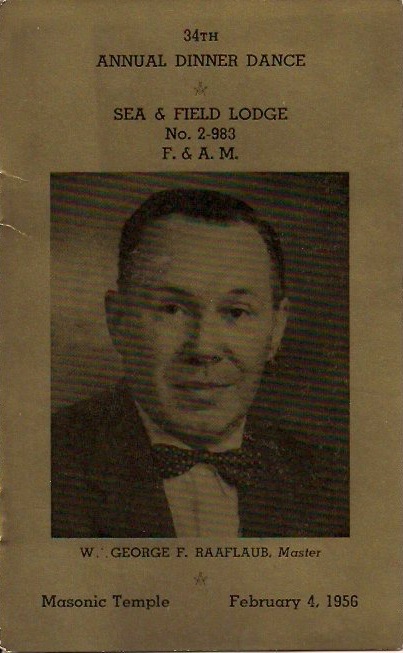 His parents (Joanna Stouffer Wilkinson and Frank Wilkinson) are directly in front of him. Here is a close up of Frank, Joanna, and Bob. 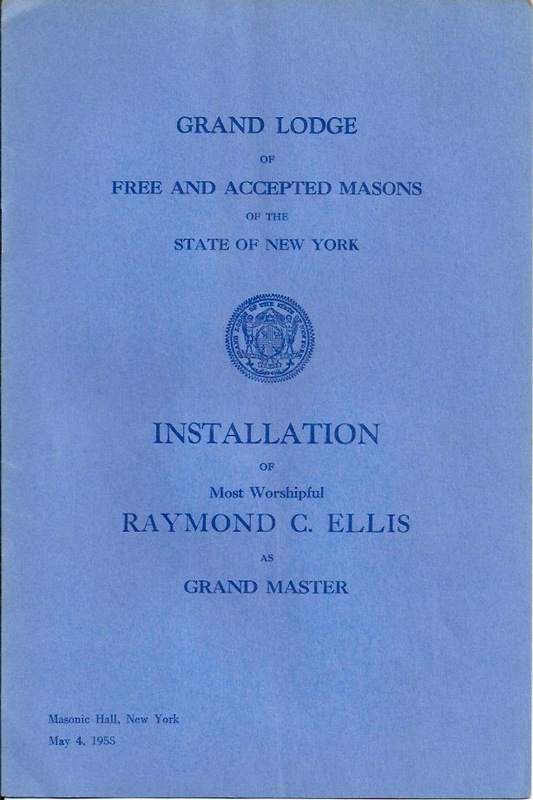 This appears to be the installation of the state-wide Grand Master of the Grand Lodge of New York. 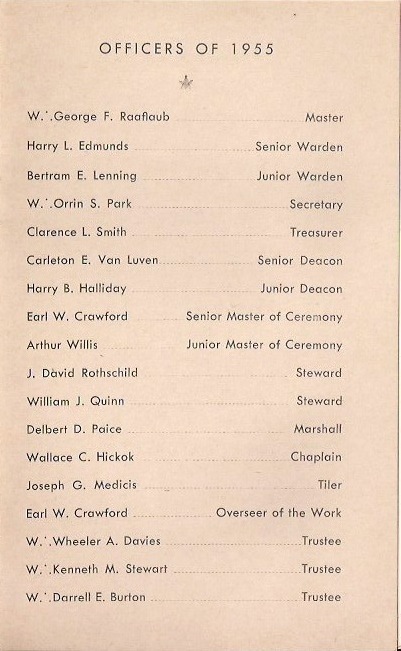 Here are placeholders for Frank and Joanna for the Philo Lodge No. 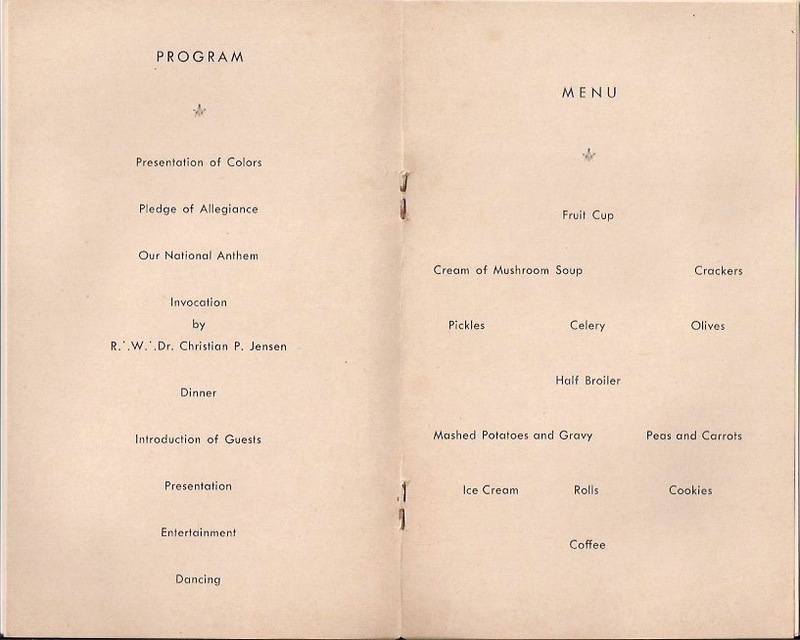 968 Annual Dinner. 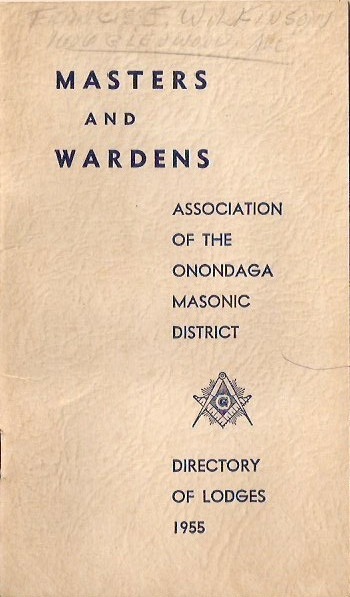 These are scans of the 1955 Masters and Wardens of the Association of the Onodaga Masonic District. 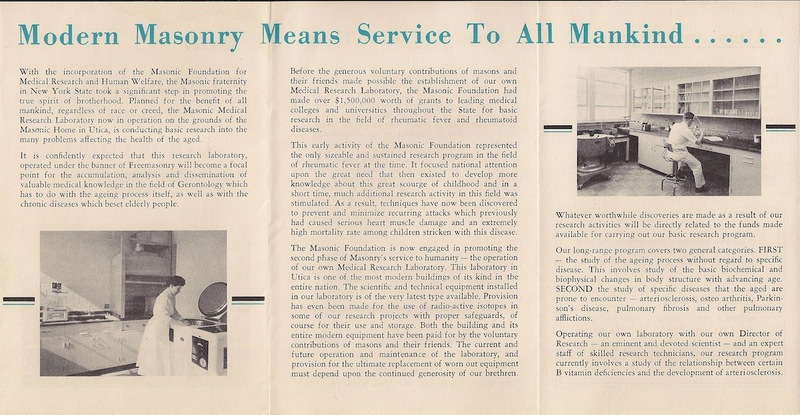 This group still exists today and they have have a Facebook Page.